Barry currently works as a Sports Marketing Consultant for Fox Sports West and Prime Ticket and has more than 20 years of professional experience in the broadcast television and sports industries. Barry has been with Fox since 2002 as a business development executive with expertise in partnership acquisition, management consulting, revenue generation, brand building and integrated marketing strategy. Barry has specialized in maximizing revenue for his team partners and Fox Sports, while affiliating Top Tier brand names with teams represented both locally and nationally. Barry is fortunate enough to have partnered with all of our Southern California professional sports teams (Dodgers, Angels, Clippers, Lakers, Kings, Ducks) and Pac­12 Collegiate teams (USC, UCLA) on integrated marketing platforms, where clients look to increase their brand awareness through affiliations with these teams on television, on­line, in arena, and with community outreach programs. 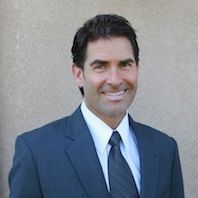 Barry graduated from Windward in 1989, and holds a Bachelor’s Degree in Business Administration, Marketing from California State University, Northridge. Barry lives with his wife, Lori and his son Dylan and daughter Payton.